Not every moving company offers storage services—but as a full-service moving and storage company, Ryan Moving, LLC has warehouses across the nation to keep your items safe and secure. You might need storage services for several reasons: Maybe you’re waiting on your new home to be built, consolidating your living space, or just need some extra room and want a secure place for your belongings. No matter what your situation, our storage services have you covered—and we can expertly pack your items if they are especially fragile or delicate. Ryan Moving, LLC has the right storage options for your belongings regardless of the term of storage you need. 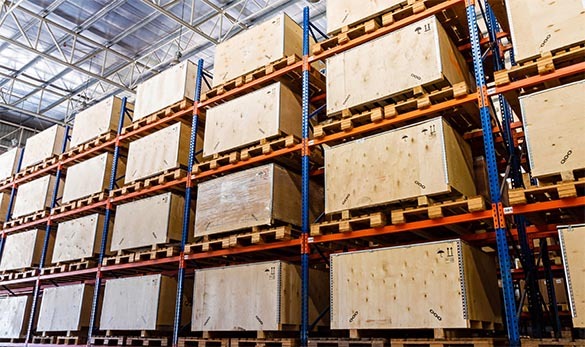 Our secure facilities are built to keep your items protected—many of them are even approved for storage by the U.S. government and military. And in most cases, your property is accessible with just a day’s notice. If you need storage during your move, it’s called storage-in-transit (SIT). This applies to items that need to be stored for up to 180 days. If you need more time, Ryan Moving, LLC can convert your shipment to a local move, re-quote a price for keeping your items in storage, and give you a new cost for delivering them to your new home when you’re ready. If you have any questions or concerns about storage and want to learn more, please don’t hesitate to contact us at the information provided below.